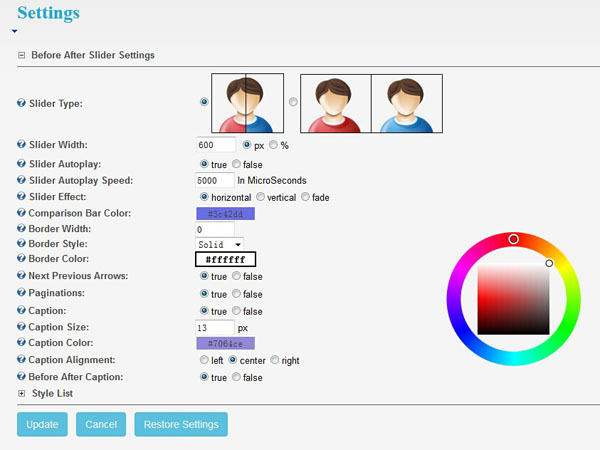 The main feature of this module is to distinguish the difference between two images, it’s very intuitive to see. You can view the difference between two images very intuitively. 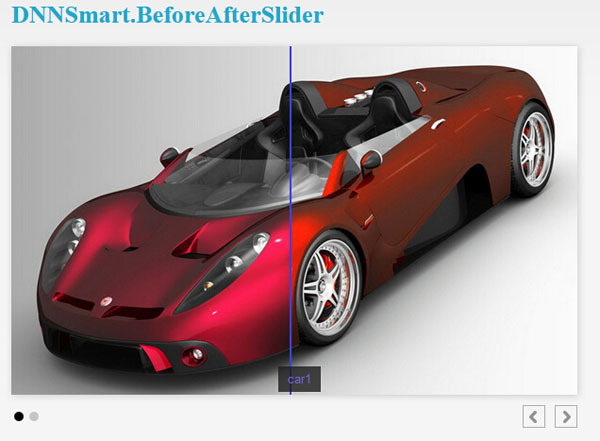 It supports sliding effect of multiple images. It supports import & export feature. Standard version: You can use this module on only one portal within one DNN instance, this portal can be main portal or sub portal. You can get free updates and new versions unlimitedly after you purchase it. 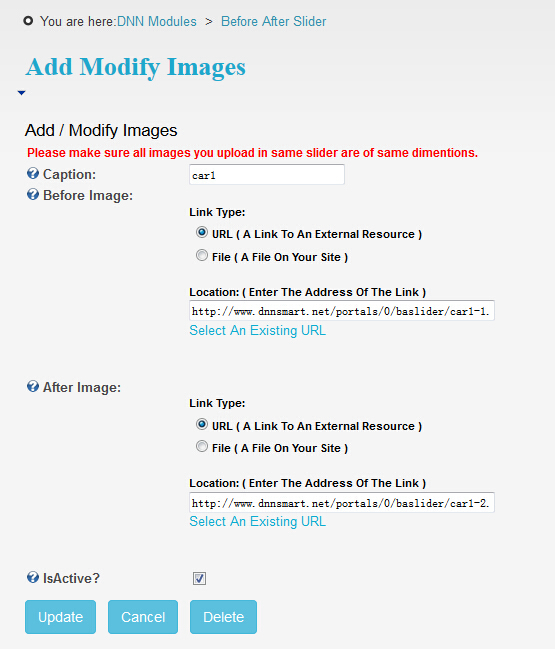 Professional version: You can use this module on one DNN instance with multiple portals. You can get free updates and new versions unlimitedly after you purchase it. Please note, you can’t redistribute our modules. If you need source code of this module to do changes on your end, you can contact us and purchase source code from us. Before you purchase it, please download trial version and play with it in order to know if it can meet your need. After you purchase this module, we won't give refund if there isn't any bug which we can't resolve.